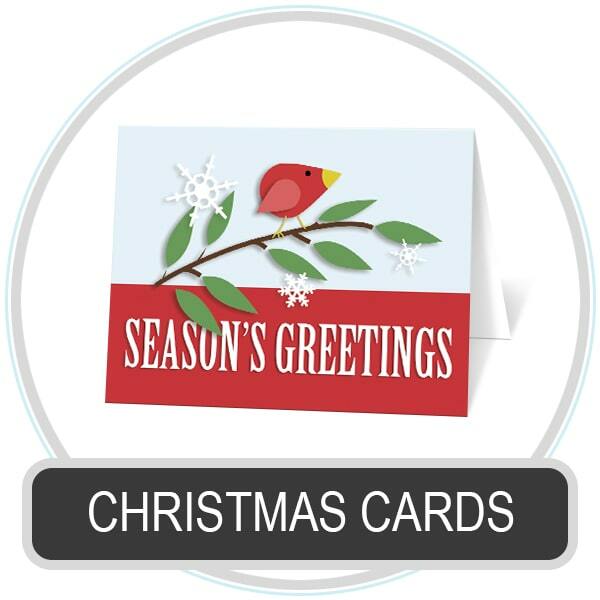 Unique Christmas cards for bulk ordering. Modern, funny, and rustic Christmas cards for sending your Holiday greetings and wishes. These Holiday cards are uniquely illustrated for noteworthy Seasonal sentiments. The inside of these Christmas cards have a printed message saving you from having to write your own, but you can upgrade to use your own custom greeting. Whether you're sending these uniquely designed Holiday cards to friends and family or a business sending out a mass mailing, the bulk discounts make these professionally printed cards an affordable option. Make these cards even more unique by choosing to included a personalized greeting, printing them with your own custom message inside. An excellent upgrade to choose if you have a lot of cards to mail. If you want to make them really personal, you can request that they have the inside blank for you to handwrite your own Holiday greetings.